Vivekananda Rock Memorial stands on one of two rocks located about 500 meters off mainland India's southernmost tip.It is reached by a government-run ferry ( 8.00 Am to 4.00 Pm). Adjacent to the Vivekananda rock is the magnificent statue of poet Thiruvalluvar. Kanyakumari is the southernmost point of mainland India. 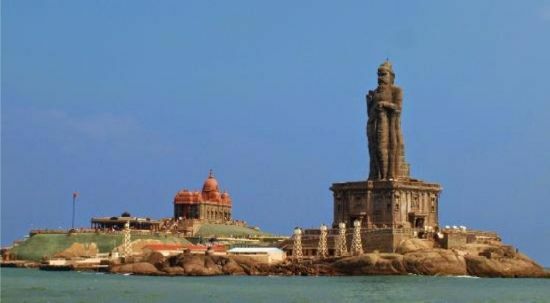 Kanyakumari has been one of the major centers of arts, culture and religion since the ancient times. It is a big center for art, culture and pilgrimage. The place experiences a moderate climate all throughout the year. It is an ideal time for sightseeing, outing and beach activities. 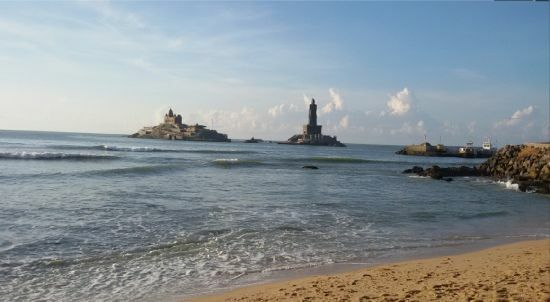 Kanyakumari Beach is a major attraction for tourists. 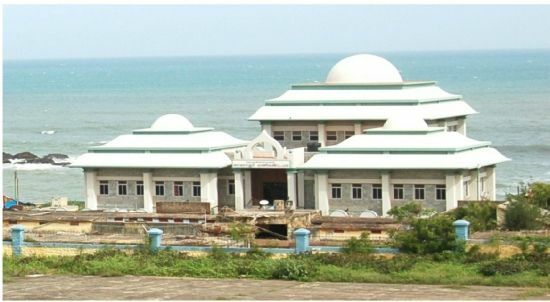 It is situated at the point where the Bay of Bengal, Indian Ocean and Arabian Sea meet (Triveni Sangam ). Other popular Beaches in Kanyakumari are Muttom Beach, Sanguthurai Beach, Sothavilai Beach and Thengapattinam Beach. 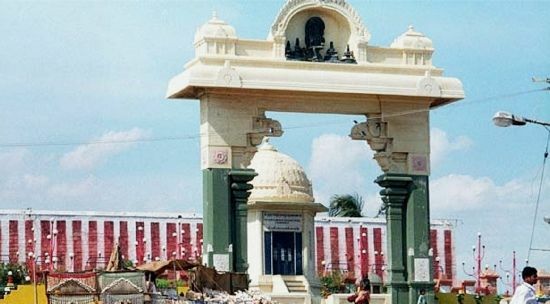 Mahatma Gandhi Memorial was built in the honour of Mahatma Gandhi, Also known as Gandhi Mandapam, it is an important part for every Kanyakumari tour, presenting a glimpse into the historical richness of India and into life of the great man that India had seen. Timing 7.00 am to 7.00 pm . Kanyakumari is especially popular in India for its spectacular and unique sunrise and sunset. The confluence of three ocean bodies – the Bay of Bengal, the Indian Ocean, and the Arabian Sea – makes the sunrise and sunset even more special. 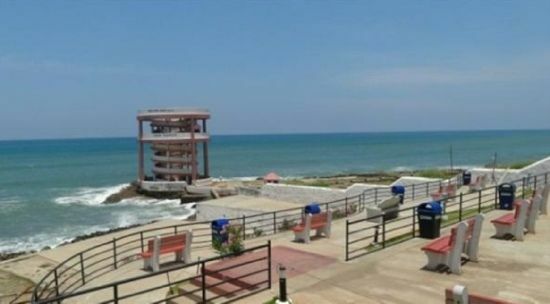 Panoramic view of landscape, seashore, Vivekananda Rock Memorial, Thiruvalluvar Statue etc., can be seen at View Tower and through Telescope.The Kanyakumari View Tower is a circular building about five floors high with a spiral staircase. 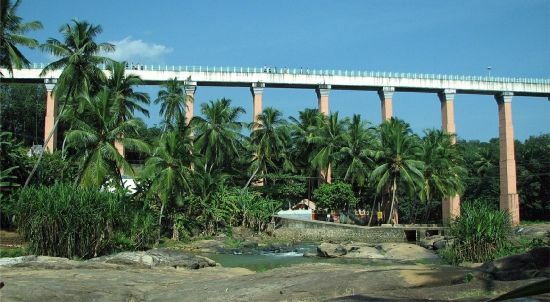 The Mathur Hanging Trough is the tallest as well as the longest trough bridge in Asia, having a height of 115 feet and a length of one kilometre. Constructed in 1966, this bridge has become a place of tourist importance and hundreds of tourists visit this place daily. Kanyakumari has many forts have beautiful scenery .It is a nice historical place that tells us about how our Indian kings constructed an architect on Stones. The forts are Vattakottai fort , Padmanabhapuram Palace and Udayagiri Fort . There are many waterfalls in kanyakumari .You can enjoy a bath under the gushing water, and later take a stroll in the area to get different perspectives on the falls.The water falls are Olakaruvi Water Falls , Kutralam Water Falls,Tirparappu Water Falls and Olakaruvi Water Falls . The 3000 year old Kumari Amman temple at this place is dedicated to Virgin Goddess Kanyakumari,. 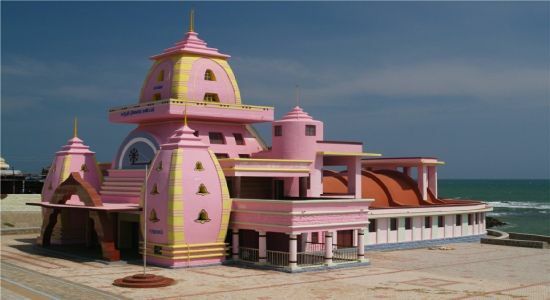 There are many other temples in Kanyakumari. Nagaraja Temple, Suchindram Thanumalayan Temple, Thirunanthikarai Shivan and Adikesava Perumal Temple.